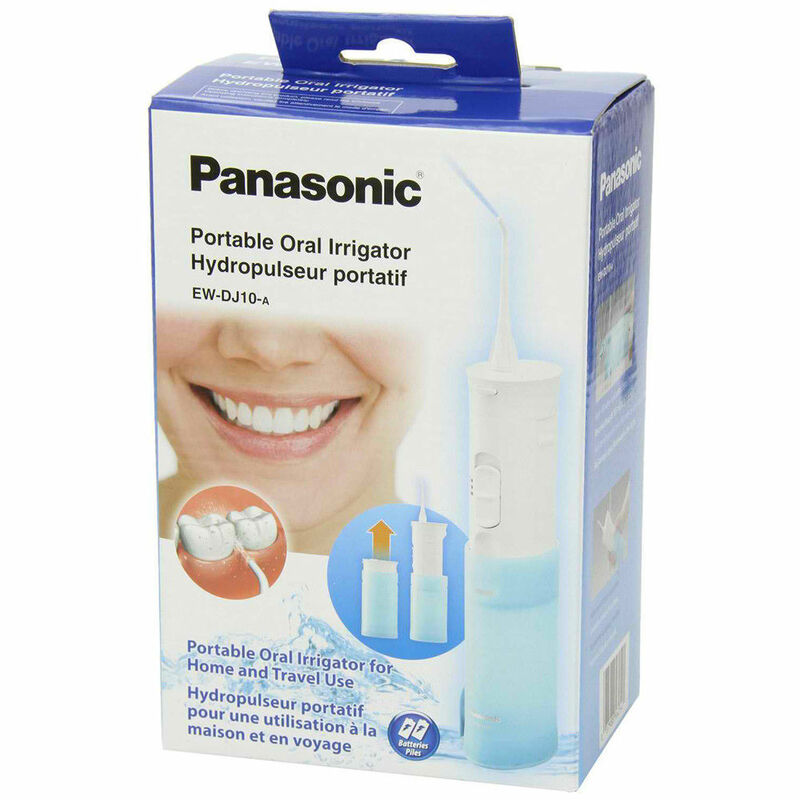 Unlike traditional dental floss, the Panasonic Portable Irrigator creates rapid, targeted jets of water to comfortably - and thoroughly - remove harmful food particles, plaque and bacteria from between teeth and gums. What's more, its collapsible design makes it easy to use at home, while traveling or anywhere on the go. 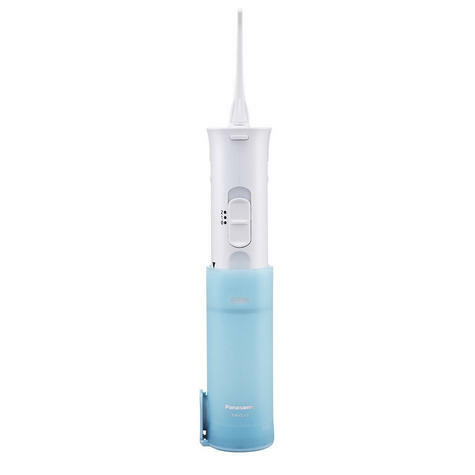 Both powerful and portable, this compact water flosser can easily be used anywhere - at the office or gym, while traveling or at home. Its discrete, small-footprint design takes up minimal space on vanities, sinktops and counters. It also collapses to fit snugly in bags and luggage. 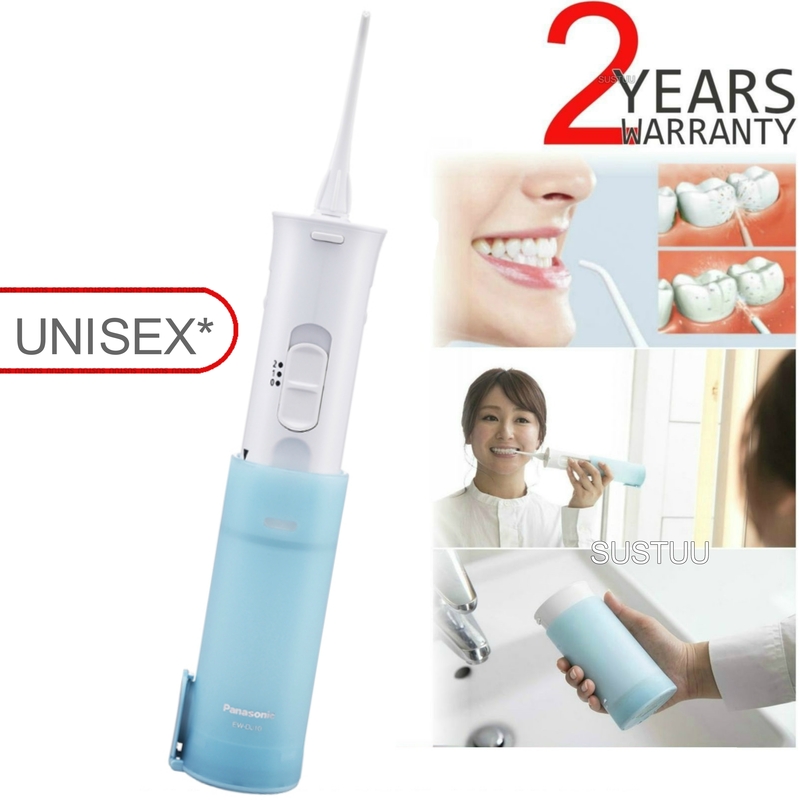 It's the convenient way to maintain good oral health anytime, anywhere. 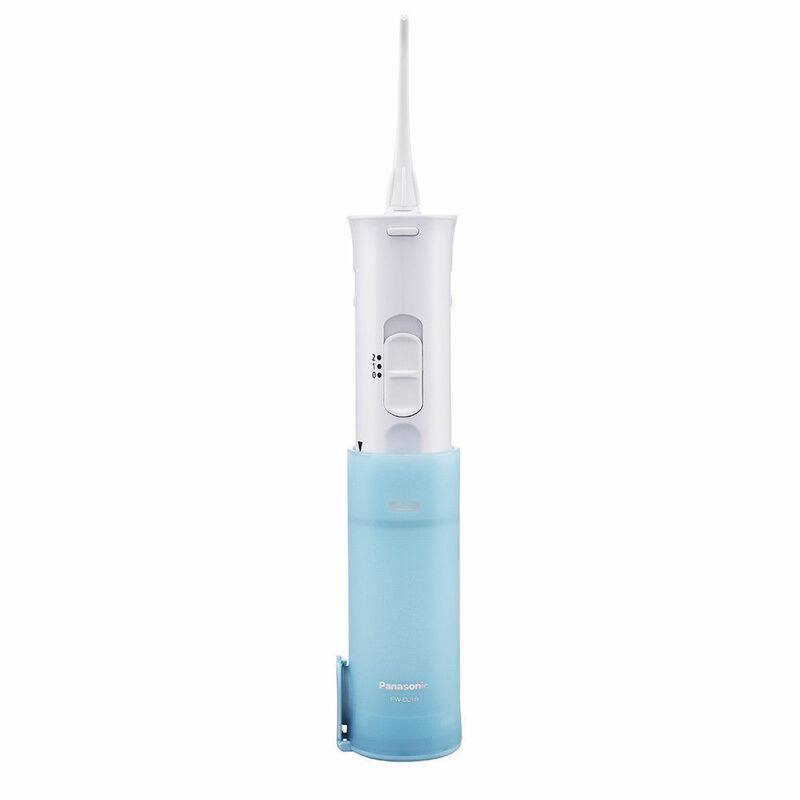 Operating at 1,600 water pulses per minute, this powerful irrigator penetrates deep between teeth to wash away the tough food particles, plaque and bacteria everyday floss can't always reach. These cleansing pulses also reach just below the gumline to remove trapped food debris, stimulate the gums and increase circulation to keep them strong and resilient. 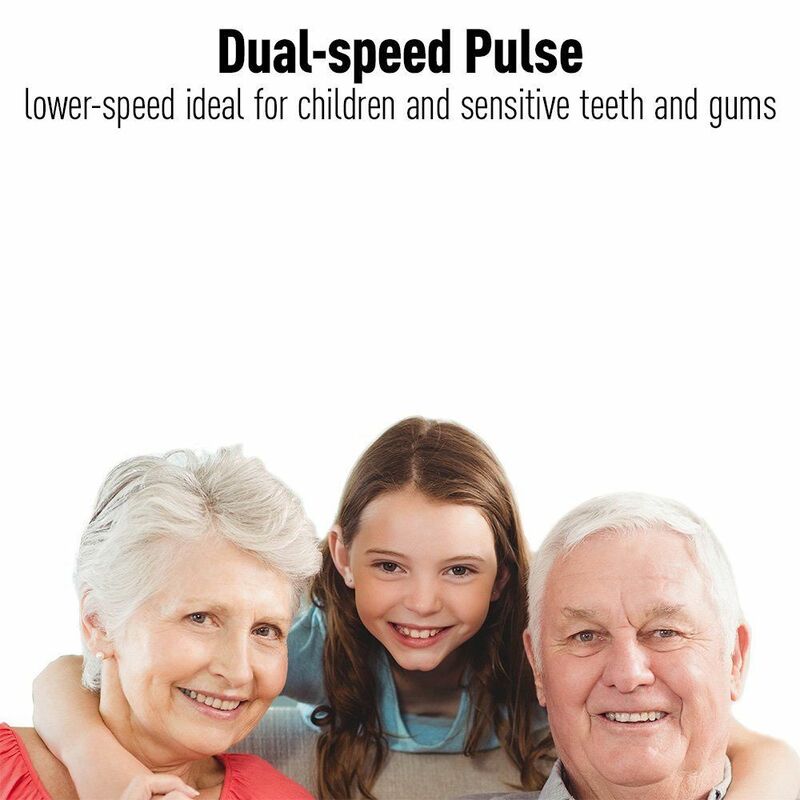 To help maintain healthier gums, pulse rate can easily be set to two different speeds; a high-speed pulse for normal, everyday cleaning, and a gentler, lower-speed pulse for children and those with sensitive gums. 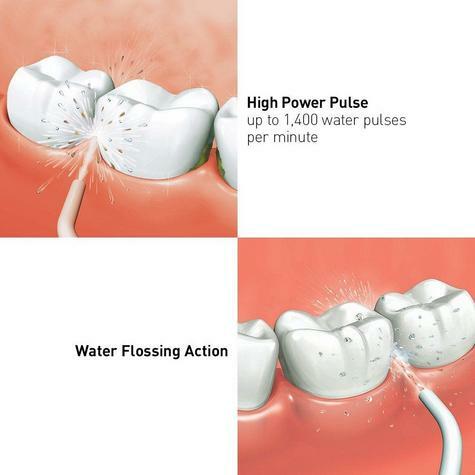 Either speed provides safe, thorough cleaning for those with braces, crowns, veneers, bridges and implants. Clean longer between fills with a 5.5 oz. 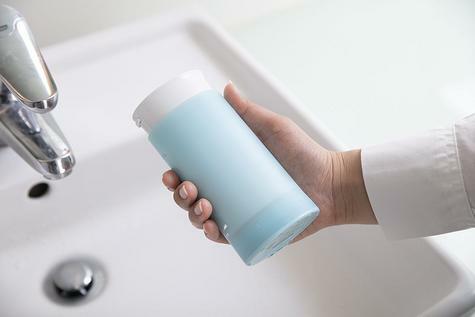 (165ml) reservoir. Cleaning and maintenance is simple. All parts are 100% waterproof, and each can be washed and rinsed thoroughly under the faucet, and dried with a clean, soft cloth.